A huge variety of built-in effects that get you started quickly. 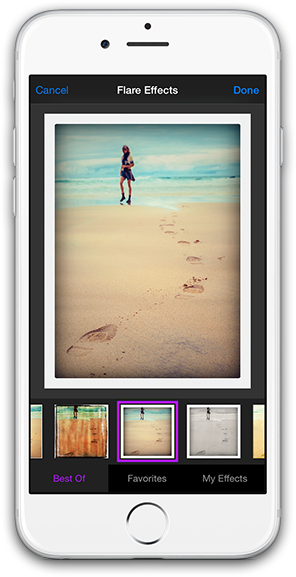 Dozens of individual photo filters and can be combined in limitless ways to create new effects. 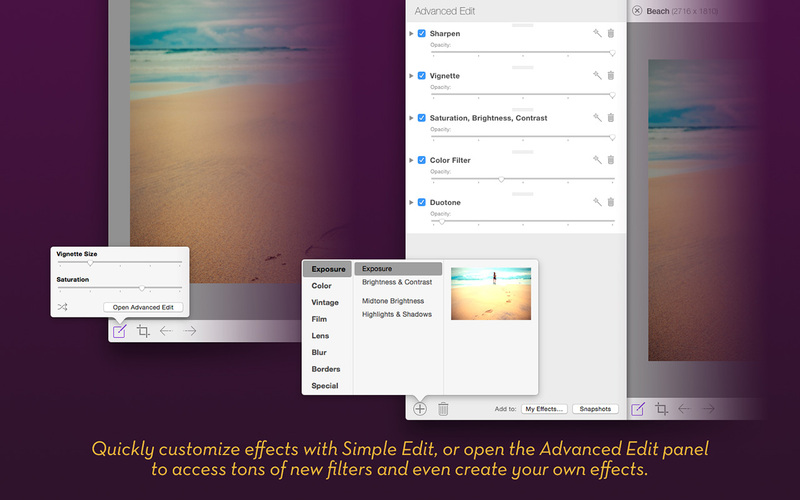 Apply effects to as many images as you want and switch between them with ease. 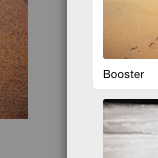 A completely new look that fits in perfectly with a completely new OS X! 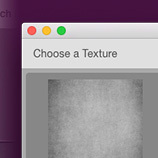 Advanced editing to fine tune your effects in a live preview, combined with simple controls to adjust the look quickly. 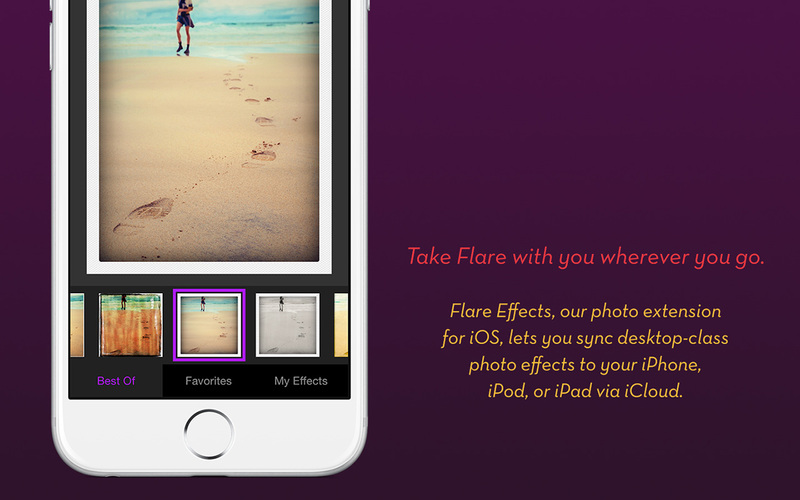 Flare Effects is a new, free app for iOS that lets you use your effects directly in the Camera and Photos apps. 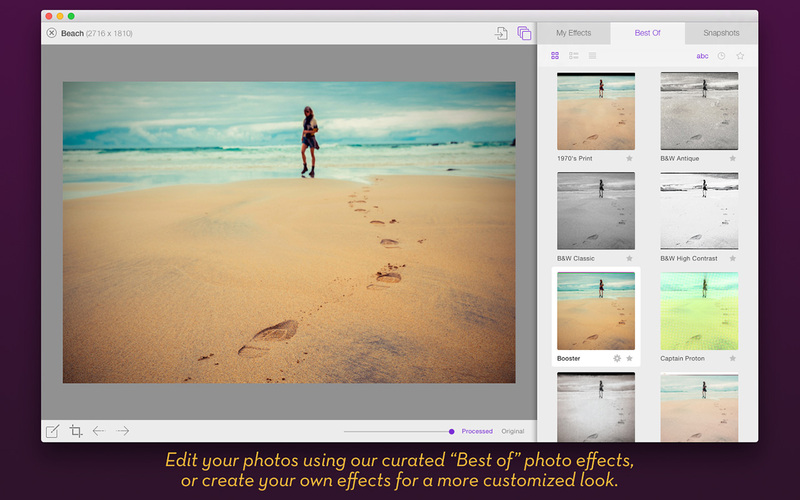 Designed to work seamlessly with iPhoto, Aperture, Photoshop and Lightroom. 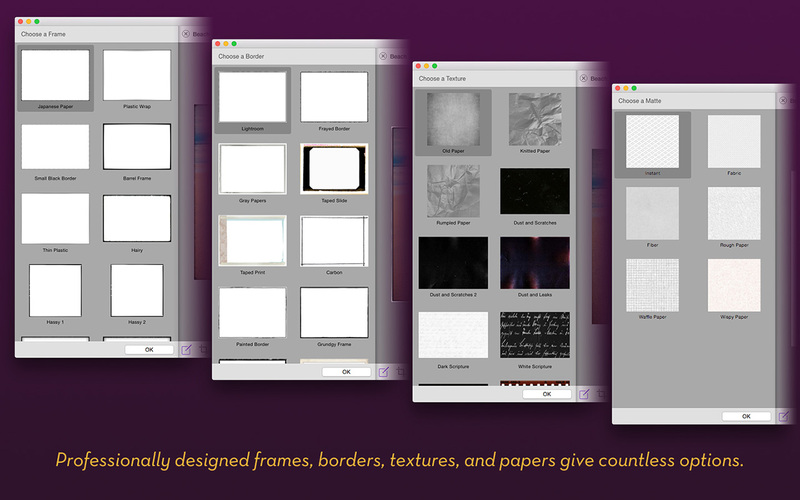 Awesome new effects that are delivered automatically to your Mac and mobile devices every month. Visit the gallery. See what Flare can do. 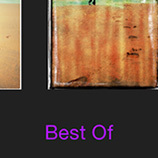 Curated effects and your own favorites synched via iCloud. Free on the iTunes App Store Requires iOS 8. 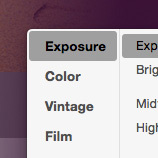 Some features require Flare 2 for Mac OS X. Read this for more info on iOS limitations. Flare is a product of The Iconfactory and ARTIS Software © 2017 All rights reserved. Follow @FlareApp for the latest updates.